By 2030, 18 percent of the nations population will have reached 65, including the entire baby boom generation, according to projections by Pew Research Center. 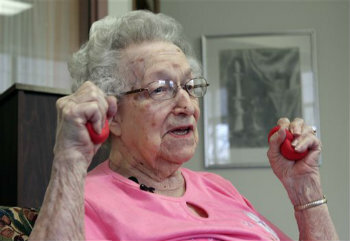 Aug. 7 (Bloomberg) — More than 10,000 Americans turn 65 every day. By 2030, 18 percent of the nation’s population will have reached that age, including the entire baby boom generation, according to projections by Pew Research Center. The aging populace has been a boon for Life Care Centers of America Inc., the third-largest nursing home operator in the U.S., and made Forrest Preston, the closely held company’s founder and chairman, a billionaire.